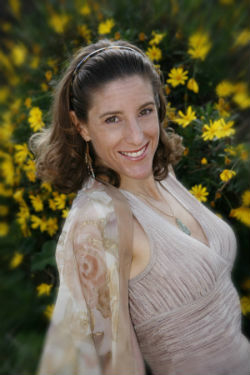 Between 1992 and 1998 a series of profound spiritual experiences disrupted my studies at UCSD. My dream was to work in the field of Rehabilitation Medicine. In 1998, I left my formal conventional education, realizing that finishing this demanding degree was no longer necessary. What I didn’t realize at the time was that Rehabilitation Energy Medicine was my life purpose, but not in the conventional sense taught at the University of California. Over the course of the next 5 years I studied Spiritual and Holographic Psychology, worked with shamanic elders, yogis and apprenticed with various mystery school adepts. I was continually told that I had very special gifts, even a special life purpose or mission. I was told that if I had been born into an indigenous culture, instead of a Southern California society, I would have been recognized as a prophet or ‘twisted hair,’ and properly taken into the care of a mystical grandmother or grandfather. In 2004, when I was 31, my ‘remembering’ began to accelerate, and the pieces of my life puzzle began to rapidly fall into place. Over the course of the next year I began to vividly recall the events, beings, conversations, visions and agreements that constituted my two Near Death Experiences. The first was when I was 4 and the second was when I was 10. What I began to remember both astonished and humbled me. Frankly, at first I found it unbelievable and inconceivable that I was granted the Gifts I was given, and the life purpose or mission with respect to these Shakti Gifts. Essentially, I was shown a vision of this planet’s near future, and I began to remember larger portions of my ‘contract’ that I had made in my second N.D.E. with Gaia, the living deity that is earth. It was revealed to me that my unique Gifts were all about working with humans, or activating humans, into full Remembrance of who they are, what their life design is and why they are here on this planet at this time. 2005 was a pivotal year in my Heroine’s Journey. During this year my Remembrance grew enormously and included gnosis or fully embodied knowledge of ancient teachings and initiations that I was to impart to others. All the while Gaia and many deiforms directed and graced me, and Gifted me with the name Gayatri Devi. ‘Gayatri’ is the Adi Shakti power of the prime Source, or cosmic divine vital life force of the universe, that animates all life. I was initiated into this name and granted the power to transmit pure creation energy through Samavesha or "the perfect merging of consciousness into Divine UNION." 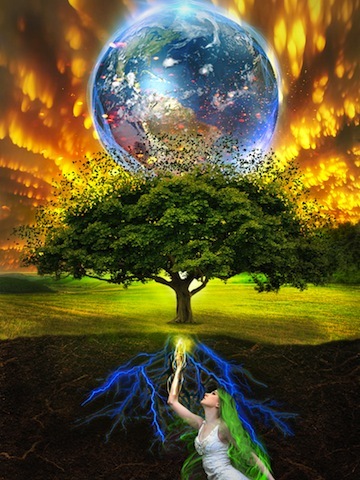 Samavesha Gayatri signifies that I can synthesize or activate the Tree of Life ~ Tree of Love within people so that they impeccably and powerfully speak into the world, and this is my inherent gift to Gaia. Over the course of the next 6 years this unified divine consciousness guided me to spend much time alone in wilderness areas in the Western United States. In the wilderness I communed with Gaia and these great complementary masculine and feminine spirits. I performed ceremony with mountains, streams, rivers and lakes. As I did, more of my N.D.E. remembrance returned to awareness and even more Gifts unfolded and emerged. I was also led to key human elders who recognized me. Working with Gaia, sky dakinis, spirits and these wonderful elders, the training I now offer revealed itself. What I have seen and what I know to be true may seem outrageous to many people. In full sovereign freedom, I say it is both extremely bold and profound. We are in the beginnings of an unprecedented evolutionary leap of the human species. There are many here who sense the calling to realize this as the promise they made to themselves, our species, Gaia and Creation. I sincerely feel that I have been Gifted with the Remembrance, insight, consciousness and powers to fully activate this call, this emergence, this mission, this Tree of Life that lies dormant and latent within people. I feel Gifted with the capacity to work directly with "Gaian Tantra" to effectively lift the veils of forgetting and the sleep of amnesia that unsettles and torments many. Once lifted, my unique Dakini Oracle Gifts connect them with their rooted spirit and mission so they can thrive, bloom and flower their authentic promise in fully embodied, fully alive form. Gaia-Sophia is awakening from her long sleep, and She is inviting us and calling us to awaken with Her. She wants us to create a new world and new earth with Her and with each other. In awakening the full potential of our hearts, minds and bodies, we will be alive in our new sovereignty in ways that are unprecedented. We will have brought to fruition the Grand Design for Unity and Reunion. We will amaze ourselves with our real powers of manifestation, creating from the fullness of Wisdom, Spirit, Truth, Integrity and Love for the benefit of all. My life is now only about this Covenant of Grace for Mother Earth's World-Tree. This is my Dakini Lineage, my purpose, passion, commitment, and the fulfillment of my own oracular promise to All That Is! Samavesha Gayatri is a new integrated archetype through her full spectrum unification between the embodied Sacred Masculine and the Sacred Feminine in ONE being."